This means attending appropriately and seeing things for what they are – “This is stress…This is the origin of stress… This is the cessation of stress… this is the way leading to the cessation of stress…” On or off the cushion, it can be helpful to depersonalise experiences instead of merely focusing on the craving or aversion. So, rather than simply reacting and thinking, for example; “I like this – I want more of it?” Or, “I can’t bear this – how can I get rid of it?” We can instead try to label whatever is arising – “Pain, pain, pain…” or “Feeling, feeling, feeling…” or “Worrying, worrying, worrying…” etc. The Buddha’s Path is intended to open us up to unadulterated reality, so that we may know and transcend the presence, origin, and cessation of suffering (dukkha) that characterises the endless round of death and rebirth (samsara). It’s especially important in the early stages of training, however, to guard the senses against excessive sights, sounds, smells, tastes and tactile sensations – because too many pleasant ones will undermine our resolve to practice and too many unpleasant ones will undermine our confidence in the teachings. So, for example, when out walking we should avert our gaze instead of looking all around us, as this will distract us from our awareness of walking. We should avoid intoxicants and activities which are a distraction and cause heedlessness (drugs and alcohol, sporting events, music, theater, news media, internet chat rooms… etc.). We should also avoid confusing ourselves by pondering unanswerable questions or wasting time dwelling on problems that are beyond our ability to resolve. Our aim should be to live simply, to give up what is unnecessary and be content with little. Use the requirements of life appropriately – e.g. food and drink to sustain the body, not for amusement; clothing and medicines for protection, not for vanity; a bed for sleeping in, not for indulging laziness; a home conducive to meditation, not a status symbol built to impress the neighbours… It’s not the objects themselves but our attachment to them that causes suffering. Certain sufferings can’t be avoided and we should bear them with patience. If we don’t bear with the unpleasantness we’ll never see it as anicca (impermanence), dukkha (dissatisfaction), anatta (not-self) and we’ll continue to suffer. When suffering is seen for what it really is we won’t have to bear it – we’ll have developed equanimity. Living fearlessly doesn’t mean putting ourselves in harm’s way. So harmful people, places and situations should be avoided where possible. 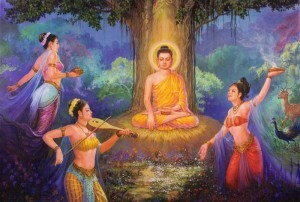 One should avoid associating with people who routinely break the five precepts, for example. It’s important not to be sentimental about long-standing relationships and the ties should be loosened or severed completely if they are a barrier to enlightenment. Pleasurable fantasies and painful fears are unskillful thoughts that develop craving and aversion, and they can be counteracted by developing opposing thoughts. For example, lust for a person can be counteracted by contemplating what lies beneath the skin of a human body. Greed for food can be counteracted by contemplating it’s natural raw state prior to cooking and how the body will process it after eating. Harbouring ill will and cruel thoughts towards a perceived enemy can be opposed by cultivating generosity and compassion. Pride, anger, feelings of inferiority, etc. all stem from reification of the self and such thoughts can be destroyed or removed from mind by clear seeing. “To avoid all evil, to cultivate good, and to cleanse one’s mind — this is the teaching of the Buddhas.”  Our mission, should we choose to accept it, is to unlock samsara. The Sabassava Sutta is a key we can use to that end. See online translation of the ‘Sabbasava Sutta’ (MN2) by Thanissaro Bhikkhu, Access to Insight. 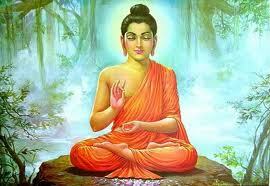 See online translation of the ‘Sabbasava Sutta’ (MN2) by Bhikkhu Bodhi, Sutta Central. See online video talk on the’ Sabbasava Sutta’ (MN2) by Yuttadhammo Bhikkhu, YouTube. Quoted in ‘The Seven Factors of Enlightenment’ by Piyadassi Thera, Access to Insight. Quoted in ‘Buddhavagga: The Buddha’ (Dhp XIV), translated by Acharya Buddharakkhita. Access to Insight. This entry was posted in Commentary, Sutta and tagged attachment, awareness, enlightenment, mindfulness, renunciation, sabbasava sutta. Bookmark the permalink.